Your private Bahamas cruise awaits! The stately elegance of the 150-foot Excellence Bahamas charter yacht will transport you and up to 12 guests among the Bahamas islands in luxury. 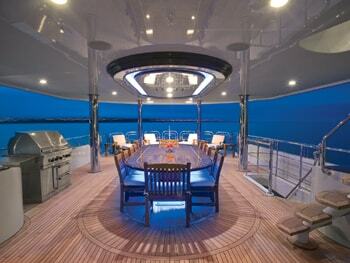 Begin your Bahamas yacht charter experience from the expansive sundeck with hot tub and raised sunpads. 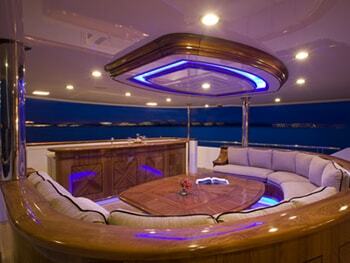 Enjoy a cool drink beneath the hard top at the semi-circular bar, or from the curved settees. 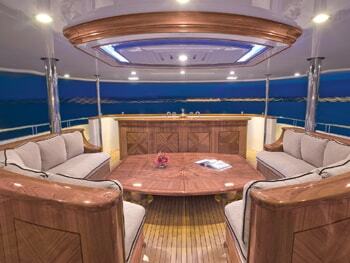 Exquisite teak flooring on the exterior decks is crafted in stunning geometric motifs. 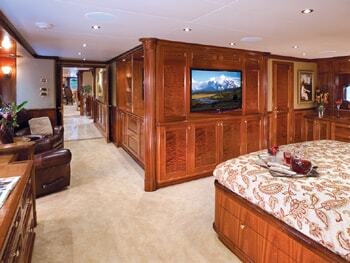 The aft main deck boasts a grill, refrigerators and refreshment center with granite countertops and 46” TV. 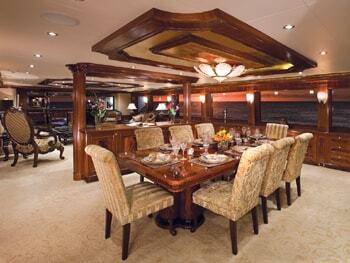 On the mid-level, enjoy alfresco dining for 10 at the gloss-finished teak table, along with gas grill and bar. 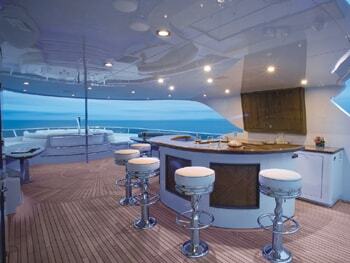 The inviting skylounge has wetbar, sofas and game table. 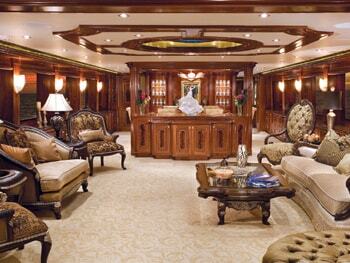 The main salon of The Excellence is a grand combination of impeccable mahogany veneers and rococo furnishings accented overhead by numerous molding-framed coffers and glossy cabinetry. A fully equipped galley offers stainless steel appliances, granite countertop and island, and the beautifully situated dining table seats 10. 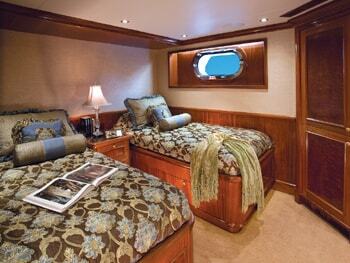 When it’s time for relaxing, five spacious staterooms are gloriously furnished. 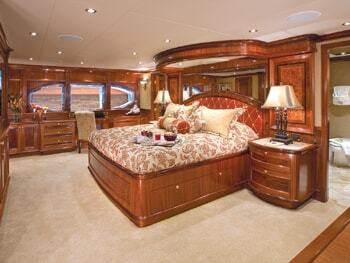 The full beam master suite offers a king bed, his and her marble baths and a walk-in wardrobe. 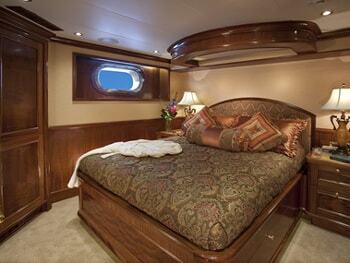 Three VIP staterooms have queen beds and one has twin beds, all with private baths. Made for adventure, The Excellence has a floating dive center and numerous water toys, and also includes its own helipad. 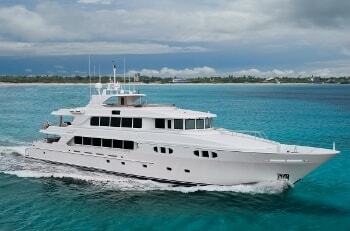 With no amenity left to chance, this luxurious charter yacht provides a resplendent Bahamas yacht rental experience.